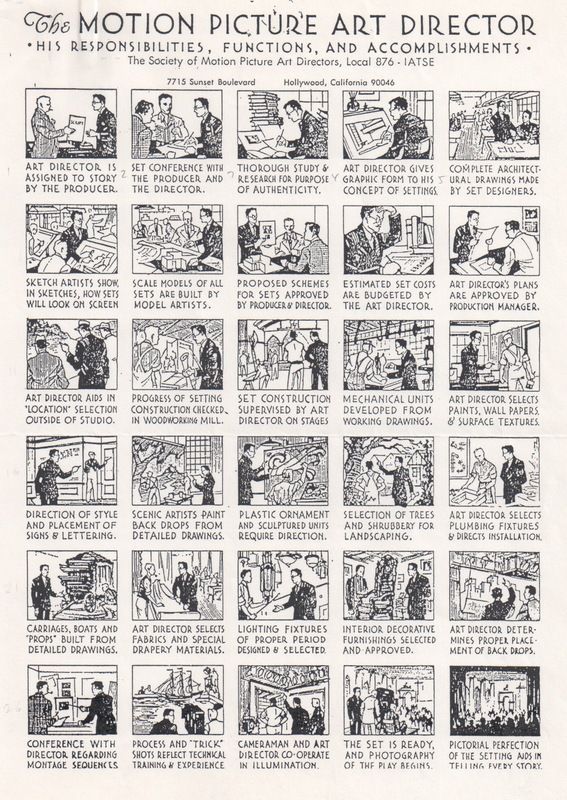 Back in the 1940’s the Art Director’s Guild, known then as the Society Of Motion Picture Art Directors, created a chart outlining the exciting responsibilities of an Art Director, which is posted below. In 1994 I created a revised version which, I thought, seemed like a more accurate representation of the job. Looking it over today I think a newer version is in order. Your suggestions are most welcome. 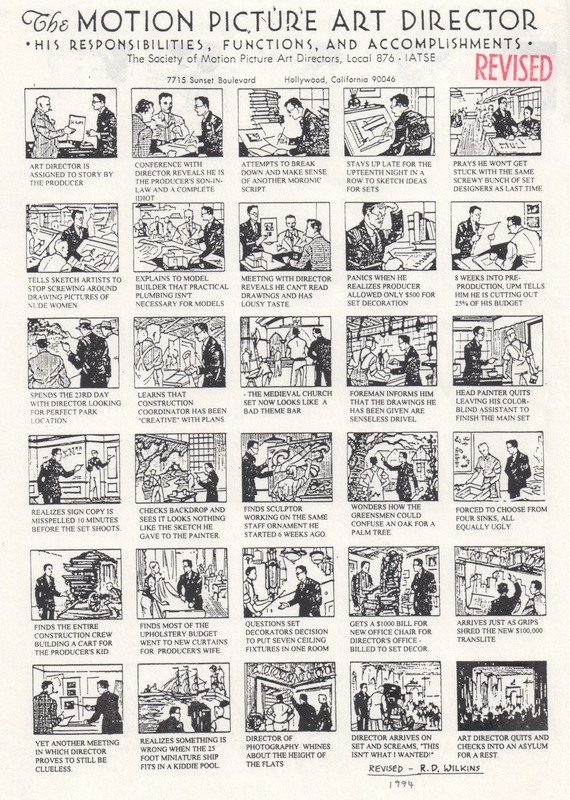 The responsibilities of the motion picture Art Director of the 1940’s. This entry was posted in Stuff, Uncategorized and tagged Art Director, Hollywood History, motion picture by rdwilkins. Bookmark the permalink. as always your insights and your wisdom is inspiring. This is awesome. I have to show this to my students. I’ve been asked to revise my book as, The Art Direction Handbook for Film and Television. I used this chart in my first edition. Now I’m wondering if I might use YOUR chart revision for edition 2? great post Randy!! Yes it does need to be updated again to include Previs and Virtual Production. And what about the Production Designer job category? Should that be recognized as such? in historical guild terms, all production designers are theoretically art directors. the job category fluctuates between mediums: TV=art director, Film=production designer. the debate has been going on since 1939 with Wm Cameron Menzies and Gone with the Wind.